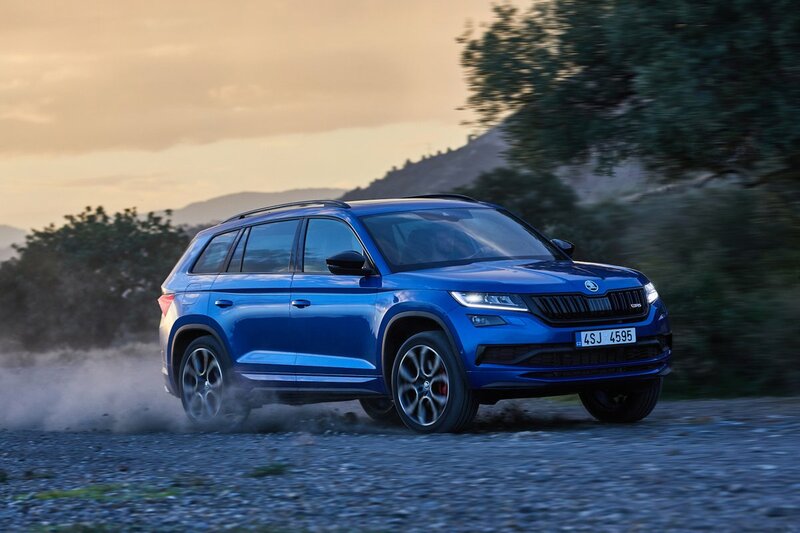 Skoda Kodiaq vRS Running Costs, MPG, Economy, Reliability, Safety | What Car? This is where the vRS looks a little shaky, due to a list price of nearly £43,000. That’s around £7000 more than the SE L Kodiaq with the 187bhp diesel engine, four-wheel drive and an automatic gearbox. Yes, you get adaptive dampers, front and rear parking sensors, sat-nav, 20in wheels, digital instruments, bolder styling and LED lights front and rear, but lesser Kodiaqs are better value. Admittedly, they don’t have 237bhp, though. That power and standard four-wheel drive also come at the price of relatively high CO2 emissions of 167g/km, while official fuel economy is in the mid-thirties. That’s not too different from the far more powerful V8 Audi SQ7. 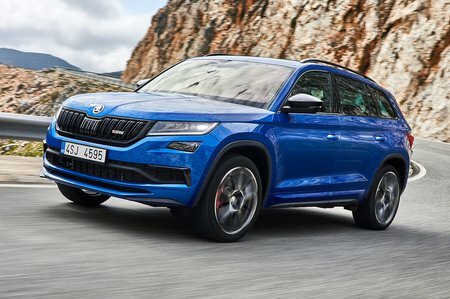 The Kodiaq is too new to have featured in the What Car? 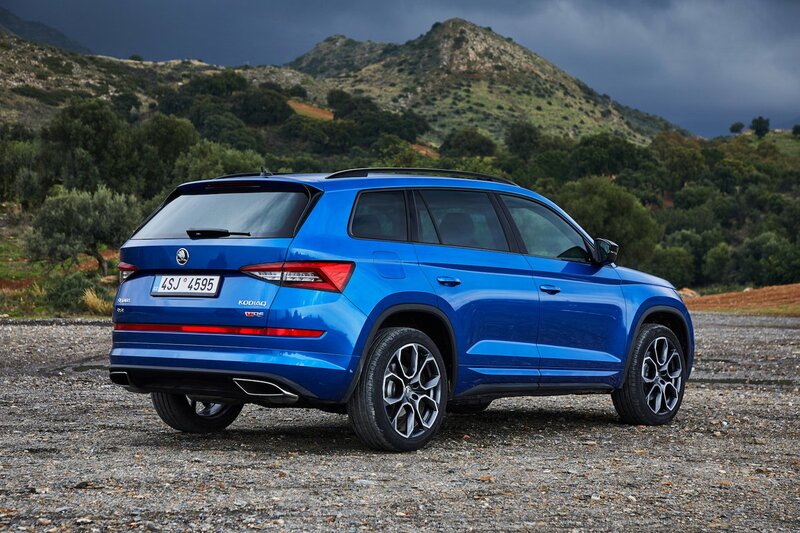 Reliability Survey, but Skoda as a brand is a strong performer. It finished seventh (out of 31 brands) in our 2018 survey, just below Kia but well above Nissan, Land Rover and Peugeot. What’s more, most of the Kodiaq’s oily bits are shared with other cars in Skoda’s line-up, including the Superb, so they are tried and tested. If anything does go wrong, you're covered by a three-year/60,000-mile manufacturer’s warranty; this is okay, but nowhere near as comprehensive as Kia’s seven-year cover. Safety body Euro NCAP awarded the Kodiaq five stars (out of five) for safety in 2017. It scored well for adult protection and solidly for child protection, falling just a few percentage points behind rivals such as the X-Trail and Sorento. Partly by dint of having automatic emergency braking (AEB) that also looks out for pedestrians fitted as standard throughout the range, it outscores the Sorento (which has AEB on only the top-spec trim) in the pedestrian protection category. The Nissan X-Trail is even safer for pedestrians, though, thanks to its squishier bonnet. Lane-keeping assistance and blindspot monitors are optional. There’s also the option to add rear side airbags, a driver fatigue sensor and a Travel Assist pack that can recognise road signs and display them on the dashboard. Security expert Thatcham Research awarded the Kodiaq a four-star rating for resisting being broken into and the full five stars for resisting being stolen. The Kodiaq's sporting figurehead might look pricey, but what other seven-seat SUV can worry a hot hatch in a straight line and round corners for less than £45,000? Not only is it quick, it retains all the practicality and space that makes a regular Kodiaq so appealing.